Marvel's New Editor-In-Chief C.B. 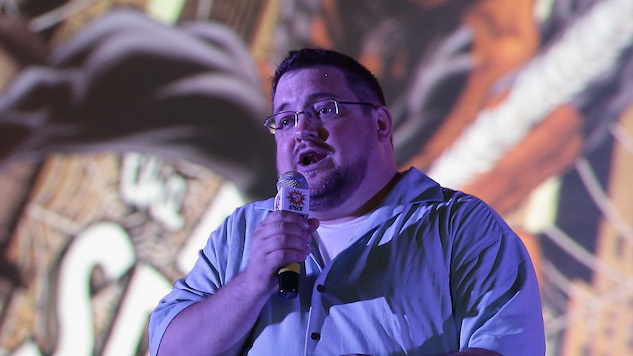 Cebulski Spent a Year Under the Pen Name "Akira Yoshida"
Just as the trailer for Avengers: Infinity War emerges to usher in a new era of the Marvel Cinematic Universe, Marvel Comics is hit with an embarrassing scandal. Marvel Comics recently elevated C.B. Cebulski to the position of Editor-In-Chief. When the biggest publisher in American comics announced this decision, rumors that have been swirling around Cebulski for more than a decade finally reached a fever pitch: Had he written under the pseudonym Akira Yoshida 13 years ago? The answer was yes, as Cebulski admitted to Bleeding Cool. From 2004 to 2005, “Akira Yoshida” wrote several Marvel comics, including Thor: Son of Asgard and Wolverine: Soultaker. And as to the Akira Yoshida that Marvel people had met, including his bosses, that was a Japanese translator who had visited the offices—and yes, who had had lunch with Mike Marts—and who was mistakenly identified as Akira Yoshida. So everyone remembered having met him—even though they never did. Cebulski said he came clean about the lie to Marvel less than a year ago, and apologized. It would seem that Marvel accepted his apology, and then some. Head of character development Sana Amanat vouched for Cebulski, saying his work was “culturally sensitive” and citing the fact that Cebulski has spent a lot of time in Japan, having lived there in the past. Looking at this work through the lens of a white man pretending to be a Japanese man? Not great optics. But more telling than Cebulski’s willingness to appropriate a cultural identity not his own to further his career is Marvel’s casual acceptance of the con. All they have done so far in the wake of this news is confirm that it is true. They have not reversed their decision to promote Cebulski, nor have they condemned his actions or apologized for how culturally and racially insensitive the use of this pen name was. With its inaction, Marvel is saying that Cebulski can lie to them, appropriate another people’s identity and break company protocol, and face no consequences. Yet they blame their focus on “diversity” for their falling comics sales.